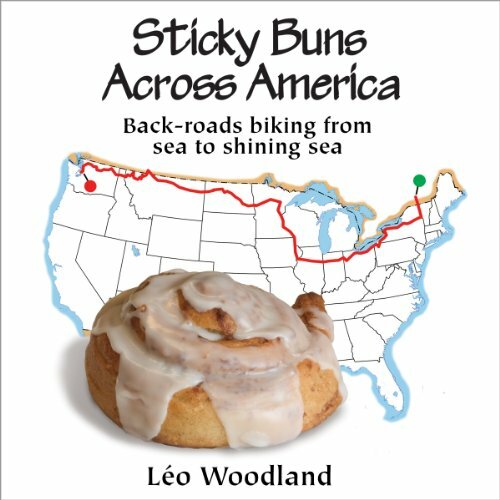 Showing results by author "Léo Woodland"
Sticky Buns Across America is the story of one of the four continents and one of the countries Woodland has crossed by bike, this time with patient wife Steph: a tale of riding across small-town America (and occasional bits of Canada, although to Americans that doesn't count). It's not a tale of heroic battling with storms, riots, poison ivy, Americans, and other problems. Instead, sit back and enjoy an eccentric account of encounters made and experiences lived. Plus, it has to be admitted, a lot of sticky buns eaten.